I hate context menu entries, it causes problems like Windows Explorer crashes, load time,etc. I have a set routine that i do after every clean install to remove useless/unneeded context menu entries. I have tweaked my copy of Windows 7 before install, by using RT Se7en Lite (not portable). It's a very powerful tweaking tool, able to remove e.g. the winsxs directory. On the other hand, it's very easy to break something by mistake: for example, Windows Firewall was unable to start in my first custom build of Windows 7. What theme are you using on Windows 7 Magibon? It looks like the Start Button is similar to the Opera Menu Button. SYSTEM wrote: I have tweaked my copy of Windows 7 before install, by using RT Se7en Lite (not portable). yea.. i used it but it causes unforeseen corruption .. which is a pain to fix/undo after i have already installed Windows 7 .. 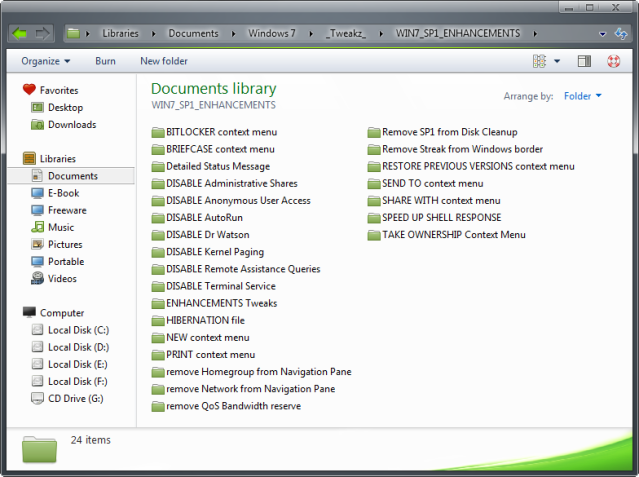 Some say try in VMware first, but it still takes a lot of time and some corruption is not discovered until long usage. I have also tried Mr. Jin's DISM Tool which allow tweaking of a live Windows Image, then save it. I had more success with that tool but does not provide enough tweaks. So i just install with a clean untouched image, then do what i need. 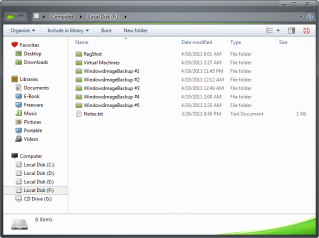 I use Windows 7 Backup and Restore after i have fully tweaked to my liking. It works very well, saved my behind a few times already, and best of all comes with Windows so no 3rd party software ! guinness wrote: What theme are you using on Windows 7 Magibon? It looks like the Start Button is similar to the Opera Menu Button. I found it on deviantART. I would also like to say another Thank You for being active in the past couple of weeks, especially in the Opera discussion. 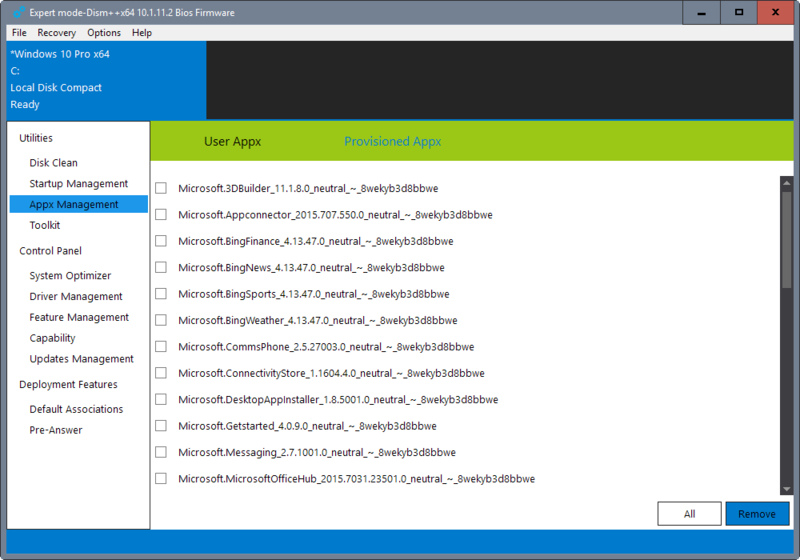 for so many years, i have neglected to see the purpose/benefits of freeware especially portable software. i regarded them as cheap imitation/useless. but after running into this site and PortableApps, you guys have completely changed my views. i now see the many benefits of free and portable software. i have gone from one extreme to the other. the only software i actually install is my AV, Sandboxie, and VMware. Everything else is portable and if it requires installation, i try to make it portable, and if not possible it goes on my Virtual Machine. Im especially fond of Stealth software, or software that is close to it. @ http://www.portablefreeware.com/forums/viewtopic.php?p=34606#p34606, SYSTEM wrote: It's a very powerful tweaking tool, able to remove e.g. the winsxs directory. @ http://www.portablefreeware.com/forums/viewtopic.php?p=34622#p34622, Magibon wrote: I have also tried Mr. Jin's DISM Tool which allow tweaking of a live Windows Image, then save it. I had more success with that tool but does not provide enough tweaks. Topic update: having been rebranded DISM++, the program is still in development (currently at v10.1.11.1?) and it's the only tool that I have came across that attempts to significantly prune the winsxs cancer that lurks inside every live Windows newer than XP -- mine is currently reaching 15GB! Although the program will have an English interface when started, the entirely Chinese homepage is located at https://www.chuyu.me/ (Google translation), but there's a recent Ghacks review at www.ghacks.net /2016/09/19/dism-windows-optimizer/. Topic update: Dism++ is currently v10.1.15.1, dated 2016-11-17 (changelog is a the home page, but Google was unable to translate). In this day and age where Windows updates are getting ever more lengthy, problematic and even not happening at all, Dism++ is proving to be an invaluable tool, despite the clunkyness of its interface. More to the point, where a freshly installed and activated 8.1 system ran Windows Update without getting anywhere (stuck at downloading 0% for hours), Dism++ rapidly found an extensive list of a 100+ updates and is slowly (as in like molasses) proceeding to install them. Who's a happy camper? A few other tools are mentioned in the thread, but Dism++ is clearly the focus so I don't think it'll confuse anyone. Dism++ v10.1.1000.70C released, dated 2018-05-31 (Chinese changelog at github.com /Chuyu-Team/Dism-Multi-language/blob/master/UpdateHistory.md*). *) Google couldn't translate this. English program download at https://www.chuyu.me/en/.